I was a civilian employee of the Ninth Coast Guard District in Cleveland, Ohio, from 1985 through 2004. My role was administering the Coast Guard Auxiliary in the Great Lakes. The Auxiliary in the Ninth Coast Guard District was (and still is) organized into three regions located in the eastern, central, and western parts of the Great Lakes. Each region has its own organization of elected and appointed leaders and administrative officers that mirrors the active duty Coast Guard structure. The Auxiliary’s volunteer character requires the active duty component to provide training on a regular basis. Historically, there have been 4,000 members of the Auxiliary in the Great Lakes. While the Auxiliary program maintains itself to a large degree, they still look to the active duty component for direction and guidance. In 1988, the office of Boating Safety, consisting of Lieutenant Will Agen (my boss), me, and ten other Coast Guard people, saw that it was our duty to provide skills training in administration to the Auxiliary. 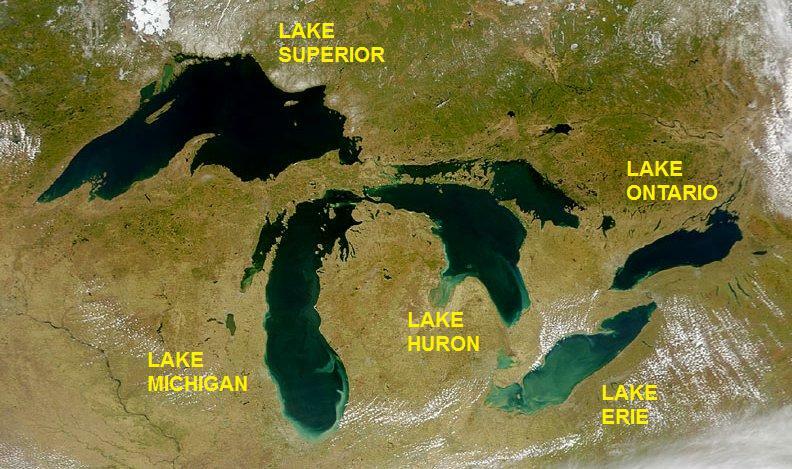 We planned to conduct three workshops around the Great Lakes, one in Cleveland, Ohio; one in South Haven, Michigan; and one in Chicago, Illinois on three consecutive weekends in early 1989. Lieutenant Agen asked me to design these workshops. I saw three main tasks at hand. One was to lay the logistical framework for the workshops. Second was to recruit the three audiences. Third was to develop a training curriculum. I felt that laying the logistical groundwork would be the key to the success of the workshops. Lieutenant Agen came to me one day early on in the planning process and asked me what I was doing. I told him that I was researching venues for the workshops, lodging, food service, and transportation. He said, “What about a training schedule?” I replied, “We can always develop a training schedule later. If the logistics are not in place, training is not going to occur.” He said, “You know what you’re doing,” and let it go at that. We invited 20 Auxiliarists to each workshop. Each workshop included a cross-section of officers in different disciplines from all three regions. We designed this arrangement to allow the participants of each region to share and compare the techniques they were using to accomplish their mutual mission of educating the public about boating safety. Our training program touched on every discipline that had an Auxiliary officer assigned to it. These included subjects such as boater education, membership, qualifications, information management, on-the-water operations, private aids to navigation, and aviation. Lieutenant Agen and I brought to the table our own experiences in military and government leadership and administration. Looking back through the lens of the Innovative Framework, it’s clear that we were getting Coast Guard Auxiliary officers to think and act together, thus strengthening civic habits of dialogue and inclusion. As we shall see, this built collaboration and trust that enabled them to later adapt to change more quickly than Coast Guard Auxiliary districts outside of the Great Lakes that were not getting this training. Further, we were connecting innovation and entrepreneurship networks. We were converting brainpower into new services and skills that eventually improved the way the Auxiliary managed itself. These three workshops succeeded beyond our wildest expectations. We got the participants to share their knowledge in their own areas of expertise with each other, as well as learn from us. They ate it up! Auxiliarists who stayed in the program were still talking years later about how much value they got from those workshops. Dear reader, please fast forward now to 1996. What you need to know is that in 1996, the Coast Guard underwent a downsizing we called “streamlining.” Almost all federal agencies went through this process. My Cleveland office shrunk from 12 people to four, just me and three untrained records clerks. Coast Guard Headquarters in Washington, D.C. wanted to take away my position and make it a tour of duty for a Coast Guard officer. I went to my superiors and said, “If you let my position go away, there will be nobody in this office who knows anything about the Auxiliary program, and that won’t be a good thing.” They saw the wisdom to my point of view and kept my position. With minimal staff, I knew that the Coast Guard in Cleveland could not administer the Auxiliary the way it had for 50 years. The Coast Guard had established rigid protocols for managing the Auxiliary. Now, there was no way four people could do what twelve people had been doing. As I struggled with the stress of this situation, a new reality began to form in my mind. This reality had three cornerstones. First, the Auxiliary in the Great Lakes was going to have to administer itself with much less Coast Guard oversight. Second, the Auxiliary already possessed the skill and integrity to do this. Third, I was going to have to convince the Coast Guard leadership to accept this new reality. Other Auxiliary leaders dreaded the idea of taking on so much administrative responsibility. They felt it was unfair for the Coast Guard to offload so much work to the volunteer component. I knew there was truth in both points of view. The real problem, though was that it was anathema to the active duty component. The Coast Guard was implicitly against empowering the Auxiliary to perform certain administrative functions. It felt it could not trust the Auxiliary to do these things with integrity. Examples were certifying themselves in program qualifications and entering qualification data into a Coast Guard-wide database. My Coast Guard superiors and many of my Auxiliary colleagues questioned my judgment and ability to achieve this transition. However, I convinced them that outsourcing these privileges to the Auxiliary would enable the Coast Guard to deliver better customer service to the Auxiliary. It took about four years to make this new model work smoothly. In my view, what made this model work were the seeds that Lieutenant Agen and I planted in 1989 when we conducted the collaborative workshops. Most of the people who attended those workshops were still active in the program several years later. Most of them were eager to tackle this model and they trusted my judgment when I implemented it. The final chapter of this story is that as of this writing (2015), Auxiliary officers in the Great Lakes are still certifying their members in program qualifications and entering that data into a Coast Guard-wide database. I believe that this model is the best form of customer support the Coast Guard could ever have conceived. (1) 14 U.S.C. 821 through 832 and 891 through 894 and the Code of Federal Regulations Title 33, Part 5 (33 CFR 5). (2) Morrison, Ed. 2007. Economic Policy Analyst, Purdue Center for Regional Development, Purdue University. Do you have stories to share? I hope you'll leave your comment in the comment box below! Tom Romito, Facilitator and Director, I-Open, helps organizations build capacity to survive and thrive with Team Building, Action Planning and Strategic Planning. Tom is interested in Climate Change Effects on Reforestation, Wetlands, and Birds and Other Wildlife.